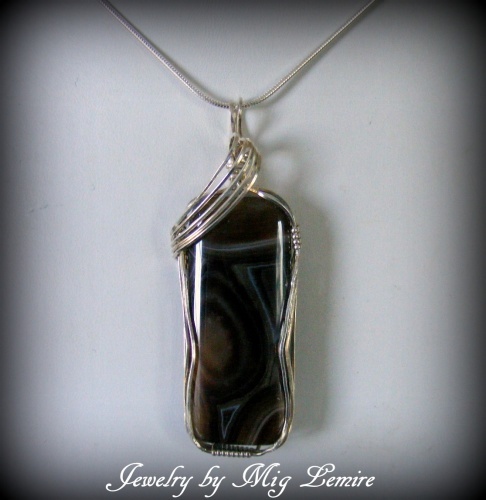 This pretty Banded Agate gemstone has browns and blacks and tans running through the stone making it one of a kind all decorated by Mother Nature. Framed with a sterling silver design. Piece measures 2 1/2" long from top of bail to bottom of pendant and 3/4" wide and comes with a sterling silver snake chain.